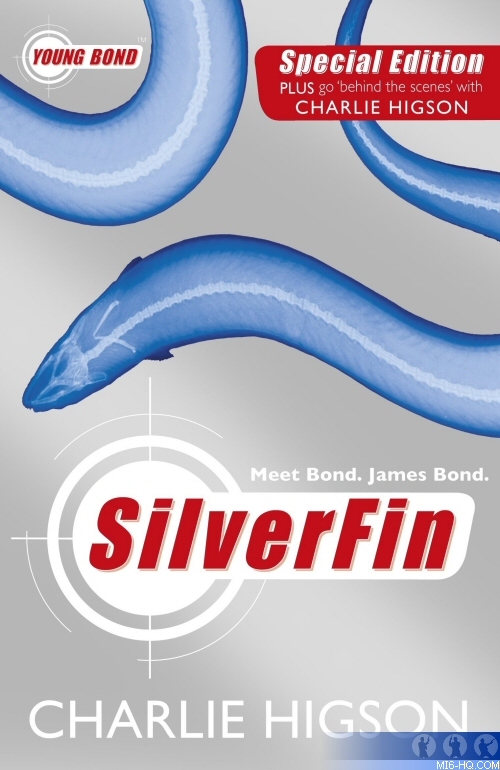 Charlie Higson's best-selling first Young Bond novel 'SilverFin' will be released by Puffin in two new editions this summer in the UK. The first is a special limited edition hardback in an interested clear perspex slip case. The hardback will be released on 5th May 2011 in the UK for £50.00, although it can be pre-ordered now at a discount. 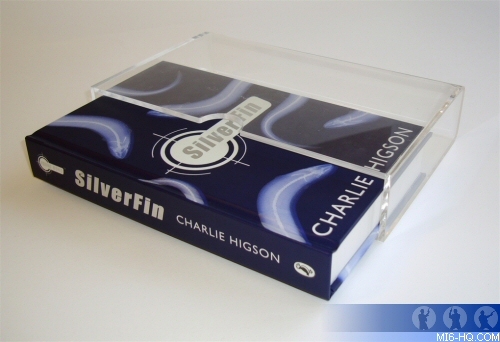 'SilverFin' will also be re-printed as a mass market paperback with a newly redesigned cover on the same day (5th May 2011) and will include "all new material" with a behind the scenes retrospective from author Charlie Higson. The 400-page paperback will retail for £7.99.